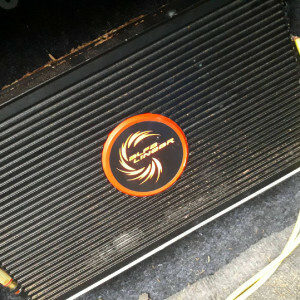 Hello all, so i have a Alfa Linear AL320.4 (4CH power amp) in my car and i have a S-BD808SW which has 3 ohms impedance. Amp outputs 4 ohms when wired in bridged. So is it possible to connect the sub to the amp? 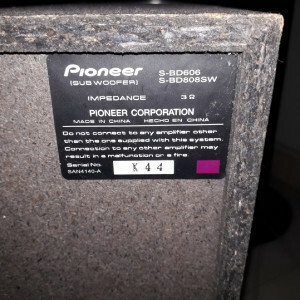 Im afraid of blowing the woofer up since it still works fine. Thanks. There is no problem with connecting a 3-ohm speaker to that amplifier. Only be aware that an impedance is a resistance expressed as a complex number, which means it has a real part (that corresponds to the DC resistance) and an imaginary part that behaves differently based on the frequency of the current going through it. Since the two impedances are not matched, there will be some reflections at some specific frequencies. It is highly probable that this won’t be heard on a signal below 20kHz. However, if your amplifier is built to deliver it’s rated output to a 4-ohm speaker, then your speaker will draw more current. 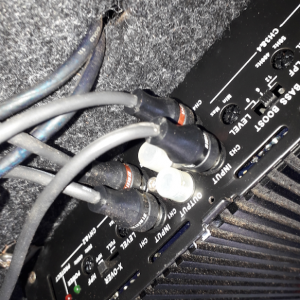 All things being equal, it might sound louder but your amplifier might heat up too much or if it is well-designed, you could burn the loudspeaker itself. Yes, it outputs 4 ohms when connected to both CH3 and CH4 in bridged mode. Atleast, a broken woofer before this was 4 ohms and connectted in bridge. How about connecting it to single channel? Will it work that way and safer? Question I am wondering if I can run a sub out of my headphone amp, and if not, what my best second option is. Question How to connect a subwoofer to a Sonos? Is it bad if only connect one RCA input for an L/R input subwoofer ? plug 4ohm subwoofer and 6ohm speaker into same terminal? Must core and cache voltage be the same?